Web design is the industry where new and innovative tools are constantly introduced. It is a surprising fact that fresh, innovative and useful tools and resources emerge daily within web design community. Hence web designers like us, always have to look forward for new and more helpful tools and resources everyday, if you want to stay updated. Thus to help you, we think why not to collect some tools and resources that are helpful to our readers. 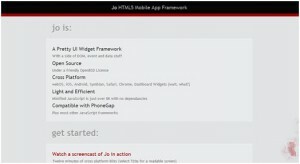 In this post, we have round-up 4 new and free apps that may help you for your web design project. 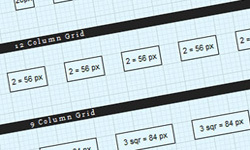 The Square Grid is a simple CSS framework for web designers and developers. It is based on 35 equal width columns. 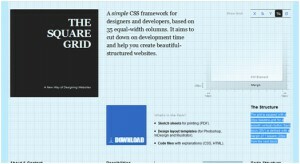 The grid is outfitted with a 28px baseline-grid for a smooth vertical rhythm. Each block (DIV) is classified with a margin of 1 square (28px) from the next block. It is very useful tool that cut down the development time and help designer to create well-structured website. Frame Box is a useful and lightweight tool for creating Mockups. HTML5 has several exciting new features like specifying gradient using pure CSS3. It doesn’t need to create any images and use them as recurring backgrounds for gradient effects. This tool gives you complete control over your CSS3 gradient.